Food is the only art you can eat. For whatever reason we Americans have bastardized the French Quiche by cooking it in a pie shell. I'm not sure why we screw up such simple things as quiche, crepe (that would be pronounced crep not crape), baguettes etc.. For some reason we can't leave well enough alone. Anyway I made a quiche the other day so I thought I'd put photos up in case anyone had never seen a real quiche before. This is a quiche for the real French Quiche eaters as it's filled with Roquefort cheese and leeks. I love pizza more than most things but I rarely eat it in Seattle. You'd think we were the pizza masters here based on the number of local pizza joints but in reality none of it's very good in my opinion. Pizza restaurants are opening at an alarming rate (5 new ones in Ballard this year) but they just keep churning out the same old crap. We were in the mood to eat great pizza so we had no other choice but to make it ourself. A lot of flour and water, a few pears, a bottle of South African chardonnay, a round of chevre, some cherry tomatoes and a sprinkle of balsamic vinegar and we're on our way. I didn't take pictures this time so I stole a photo from the last time I made this. We also made some BBQ chicken pizzas which also didn't take a picture of. We used a Mozzerella, Provolone and Parmesian cheese blend with chicken and BBQ sauce augmented with carmelized red onion and cilantro. I also didn't take pictures of these pizzas either because we've done this before. The photo shown is from the last time when I used Smoked Gouda instead of the cheese blend. Just thought I'd post the photos of my Thanksgiving dishes. The munchkin pumpkins are filled with pumpkin creme anglaise. The other dish has roasted butternut squash, fennel, quince and fresh cranberries boiled in my favorite Cote de Rhone red wine. When I'm in Paris I eat croissants, baguettes and escargot. As soon as my plane lands I eat a Philly Cheesteak or a Cheeseburger. How much more American can you get? When in America do what the Americans do. In this same vein I'm tring to learn to BBQ. This may sound silly as anyone can light a fire and throw meat on it right? I know how good BBQ can be but I rarely get to experience it because what happens is I go to someones house and they throw some ribs on the grill and you spend the rest of the night trying to get the meat off them and finally give the job over to the dog who has no better luck. This is NOT what I'm talking about. I'm trying to learn to do it right. Take one cut of meat and cook it until I've mastered it and then move on to the next. Once I have a cut of meat down I can then justify buying Prime or Choice but until then it's Select for me. I've found a couple of sites that seem to be pretty good in helping the helpless BBQ and I've added them to the Food links. People who use store bought Matchlite quicklite charcoal and douse it with lighter fluid are not quite who these sites are aimed at. Lump charcoal (with no added fuel) is about the best but not all is created equal. 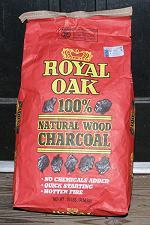 The first site reviews lump charcoal for temp, burn time and ash buildup. As soon as I find one of the reviewed brands locally I'll post a note. The other two sites are about all things BBQ. They have reviews of smokers and grills. 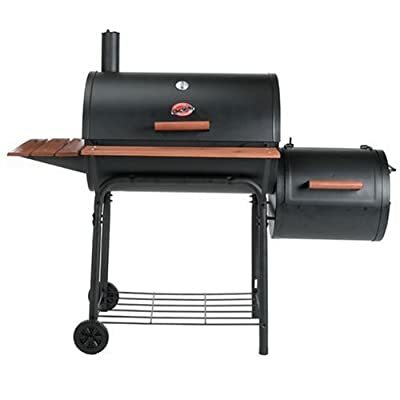 I will probably be buying the Weber Smokey Mountain smoker and the Char-Griller grill because of reviews on both sites. I'll have modifications to the Char-Griller to do which are also outlined. 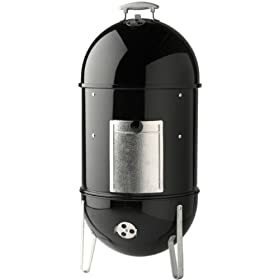 Because I plan on getting the WSM I may change my choice of the Char-Griller to something else without a smoker attachement if it means a better grill. I'm not sure, I'll let you know later. I haven't posted any new food pics lately because I've been out of town and busy working but I've been cooking none the less. There is a restaurant in Kirkland called Cafe Veloce that makes a wonderful bbq pasta. Weird, I know but it's good, you'll just have to believe me on this one. The first bite you think "that's odd", then you take another and it turns to "that's not bad" and the next bite your senses are peaked more and so on until you can't stop and you've eaten the whole thing which is a lot. The problem is Kirkland is too far for me to drive everytime I want to eat it so I've set out to recreate it in The man, The myth, The legend kitchen and the first picture are in. I'll have the recipe later when I'm happy with it. Ingredients are your basic penne (or in my case mostaccioli), grilled chicken, green bell pepper, yellow bell pepper, crimini mushrooms, red onion, garlic, tomato paste and a smattering of different barbecue sauces mixed. Even though I got close by mixing Bone Sucking BBQ sauce and Armadillo BBQ (both local I think to this region) I'm close but not satisfied so I will in the future create the bbq sauce from scatch since it's not that hard anyway. One of my fovorite Italian dishes to fix doesn't have noodles or a red sauce. It's popular in the south where they don't have access to the heavy cremes and cheeses of the north. The Marsala wine was actually created by a Brit living in Sicily at the time and longed for his ports that he'd become accustomed to having in England so he added spirits to a local wine and created Marsala. The first time I had good Marsala was at Luigi's Grotto in Pioneer square (now named DeNunzios). Luigi fixed up a Pork Marsala that made me want to lick the plate. Since then I've set out to recreate that and have also tried Marsala sauces at many Italian resaurants but have now given up. Marsala seems to be similar to the Mexican Mole sauces in that they're wonderful but few know how to do a good on. Anyway mines better than any restaurant outside of Luigi's and I can't really compare to that now because it's been too long. I need to revisit Luigi's Marsala to see how mine stacks up.